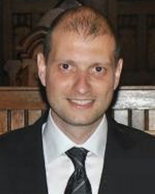 From 2008-2010, Pascal completed a postdoctoral fellowship in collaboration with the teams at Queen’s University (The Perk Lab) and the Johns Hopkins School of Medicine (JHU). Afterwards, he led the research activities at one of the two labs of the Chair for Computer Aided Medical Procedures, Technische Universität München, considered to be among the world-class leaders in translational research and medical augmented reality. Pascal’s research has produced many publications and patents, with several successful translational research studies. His main research focus is to promote healthy aging. A list can be found in Google Scholar.